Expired 7mo ago . Last validated 11mo ago . Used 3 times. Luis Chacin I am validating that this deal works as described. Enter code and Save.10% Off Your Next Order at Munchkin (Site-wide) This is a limited time offer. KARIASY VALERIO Use this code during checkout and get 10% Off Your Next Order at Munchkin (Site-wide). Maura Cooper 10% Off Your Next Order at Munchkin. Use code WE15XIEEAK802EWP. 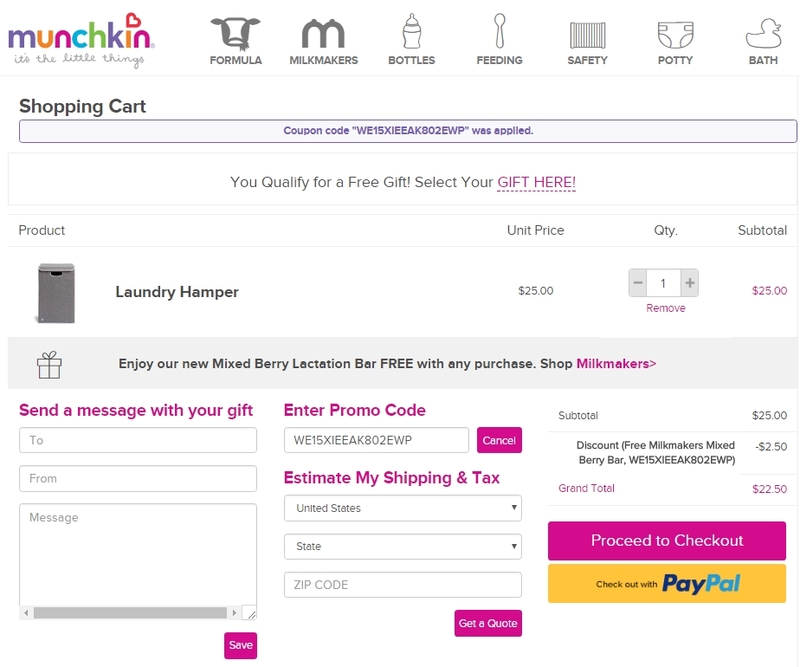 10% savings offer is valid on all Munchkin.com orders and applies automatically at checkout when coupon code is used. Offer valid online only. Expires 60 days after issued.